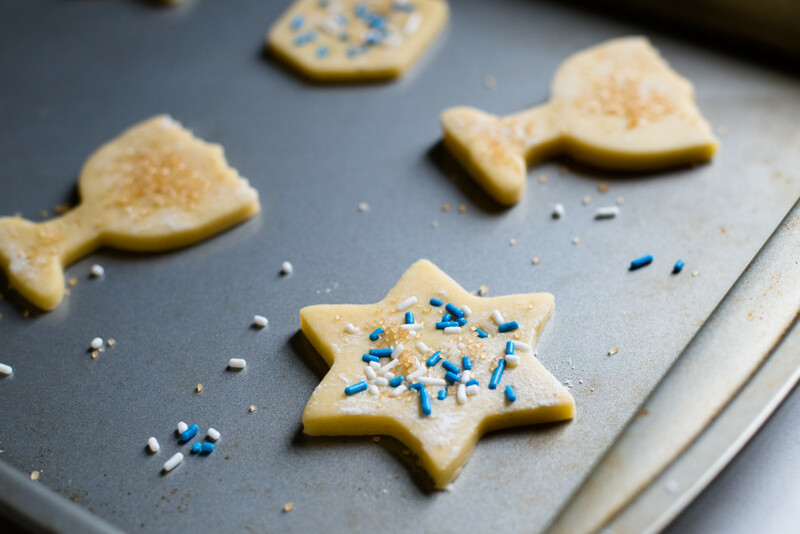 It’s not every year that I find the time to make holiday treats, but this year I took a day off work around the holidays to finish my shopping and also whipped up these adorable Hanukkah Sugar Cookies. We got invited to a legit Hanukkah party and didn’t want to show up empty handed. Josh had suggested that we bring flowers, which would have been lovely. But I couldn’t resist the opportunity to use my Hanukkah cookie cutters. This recipe is one that evolved from a cookie bar recipe I used for Halloween. As I ate the bars, I realized that the sugar cookie base would make an excellent cookie dough as well. And it’s true! 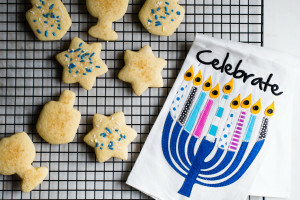 The dough was exactly the right consistency for rolling out and cutting these festive dreidel, menorah and star shapes. 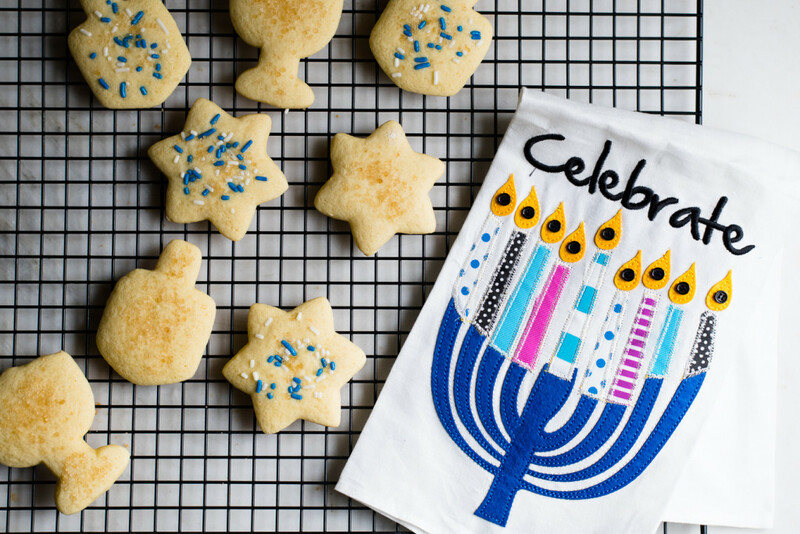 Well ok, it would probably be a great dough for any non-Hanukkah shapes as well. 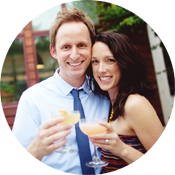 We so enjoyed bringing a homemade treat to the party and I know the hosts were appreciative and maybe a little bit impressed. 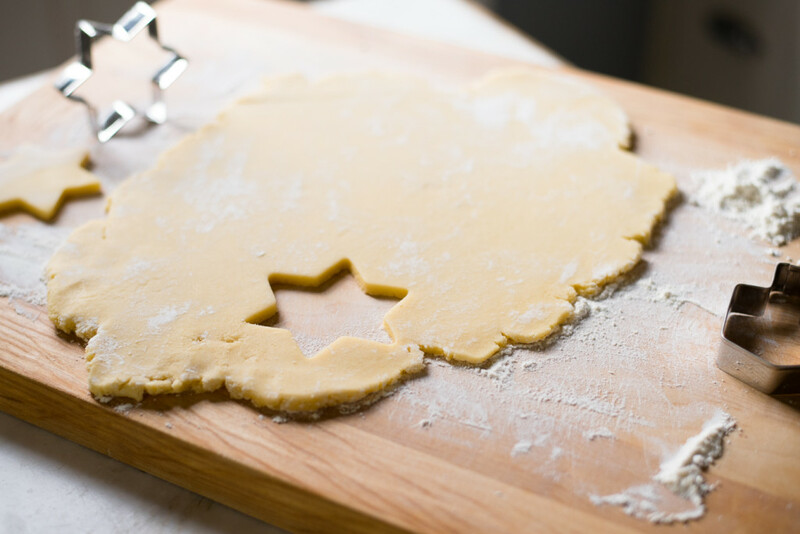 Try this recipe for your next sugar cookie adventure and let us know what you think! Using an electric mixer, cream the butter and sugar together until smooth. Add the eggs and vanilla, mixing thoroughly. 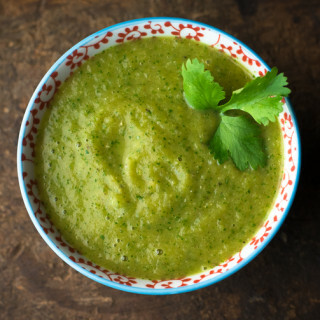 In a separate bowl, mix the flour, salt and baking soda. Then add the flour mixture to the butter and sugar mixture a small amount at a time until all is incorporated. Chill your dough 1-2 hours in the refrigerator. Once you are ready to bake the cookies, preheat the oven to 350 degrees. Then roll the dough out on a well floured surface so that your dough is about ¼ inch thick. 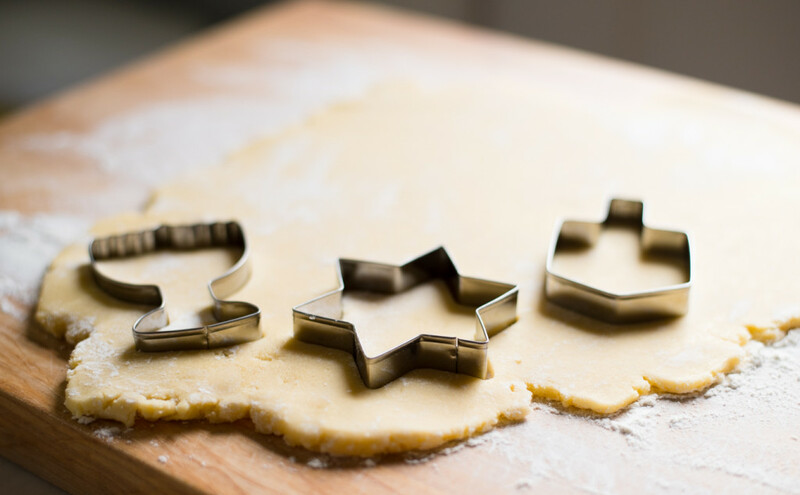 Using your cookie cutters, cut your cookies and then place on baking sheets. Add the sprinkles and/or sugar at this point - making sure to press decorations lightly into the dough so they remain in place. Bake for about 8 minutes, or until the edges are light brown. 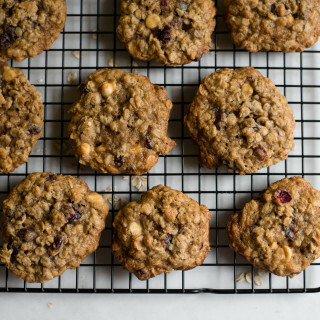 Allow cookies to cool on the baking sheet for about 5 minutes, then transfer to a cooling rack until completely cooled.